Heart surgeons in Toronto are preparing for these complicated surgeries with exact replicas of tiny hearts with a 3D printer. 3D-printed hearts: How do they work? With 3D-printed hearts, surgeons can practice on an exact replica of the organ they’re preparing for without ever opening the baby’s chest. Doctors take detailed scans of the tiny hearts that essentially creates a blueprint that they can feed to a 3D printer. Adding plastic layer upon layer, the printer builds an exact replica of the organ. This allows surgeons to develop strategies for surgery and practice the maneuvers until they’re ready for the operation. There is one drawback, however. Along with the successes comes the steep costs of 3D models. Each replica costs about $500, and doctors usually practice on several models before surgery. However, as technology evolves, health care professionals expect these models to cost considerably less in the coming years. Toronto’s Hospital for Sick Children has a far lower mortality rate than those of hospitals across North America and Europe. Using 3D models before entering the operating room has helped greatly lower deaths for two types of heart surgeries: arterial switch and ventricular septal defects. 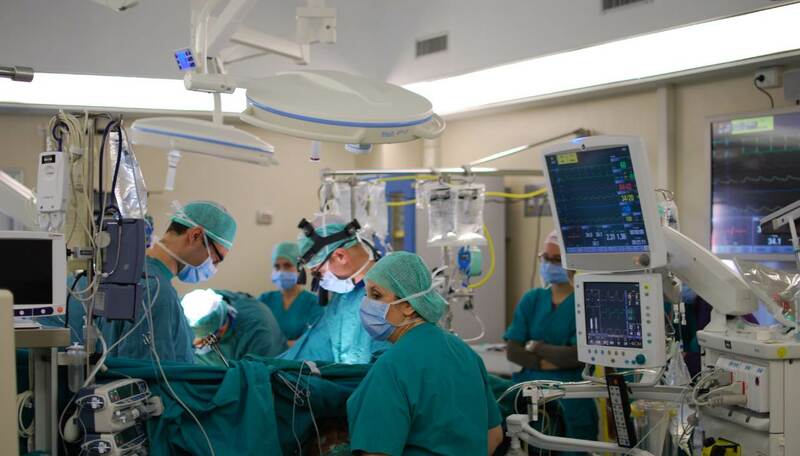 The mortality rate for these operations are 3.2 percent in North America and 6.2 percent in Europe. The mortality at this Toronto hospital? 1.7 percent. The Pediatric Cardiology Center of Oregon treats heart conditions in infants, children and adults. We are a full-service pediatric cardiology group that specializes in cardiac imaging and congenital heart defects. Call one of our medical professionals at PCCO to schedule an appointment.